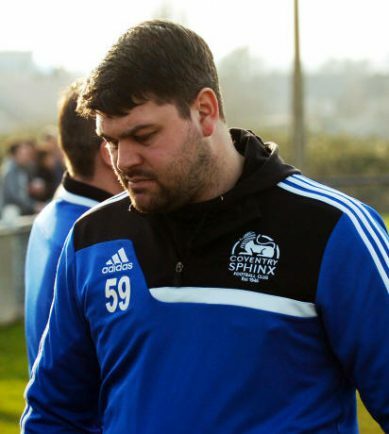 SPHINX boss Luke Hopkins admits his side still have plenty of hard work ahead of them after losing their opening game of the Midland League Premier Division campaign away at Long Eaton Utd. Hopkins had to cope with some absentees with the experienced midfielder Tom Bates, young midfielder Jackson Downie and new signing Avun Jephcott all unavailable for Saturday’s squad. And despite getting to half-time level at 0-0, the home side scored two second half goals to consign Sphinx to an opening day defeat. “We have work to do to be honest,” said Hopkins. “Coming away from Long Eaton with a point would have been a good start in my eyes. Both clubs have strengthened in the close season but they finished third last year and it’s a tough place to go and get a result. “A half time we were pleased with our defensive display. We were working hard as a unit to defend but it took away our threat and the ability to move the ball into attacking areas with quality which at times left the front two isolated. “For the second half we wanted to give it a go on the front foot. However, like in pre-season, it was a mistake and a defensive error that killed us. “We struggled to find any width on the day and when we did it was in the last ten minutes which was too late. We were 2-0 down by this point from two mistakes. Sphinx continue the season campaign on Monday night at home to Sphinx Drive versus Quorn, 7.45pm kick off. View and download all of the public notices in the Coventry Observer. Advertise on the Coventry Observer to boost your online presence.